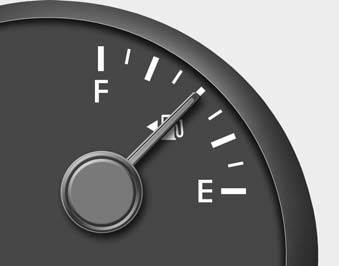 Stop and obtain additional fuel as soon as possible after the warning light comes on or when the gauge indicator comes close to the E level. Running out of fuel can expose vehicle occupants to danger. Avoid driving with extremely low fuel level. Running out of fuel could cause the engine to misfire, damaging catalytic converter.